PROJECT: SHIP BOTTOM BREWING CO. STYLE: SECOND FLOOR BREWERY, CONCRETE, RECLAIMED FINISHES. BRIEF: With stunning bay views from the second floor, the brewery and tasting space are one. A 7 barrel direct fire brew house and service bar flow together for a unique experience of enjoying your beers among the tanks as they ferment the next batches. 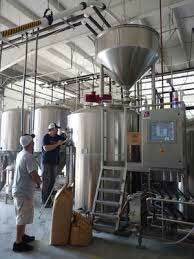 Challenges included rigging the full brewing system into the second floor space and working within a restricted floor plan and foot print. HRA participated from preliminary design through construction completion. 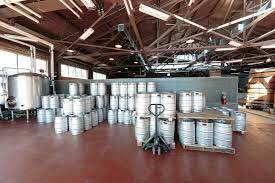 Ship bottom opened late summer and distributes their beers throughout the LBI area. PROJECT: 7 MILE BREWING CO.
BRIEF: HRA completed the major mechanicals for this production brewery fit out. Plumbing, steam, glycol, electrical and carpentry work. Teaming with the owners who self performed the drafting room fit-out work. 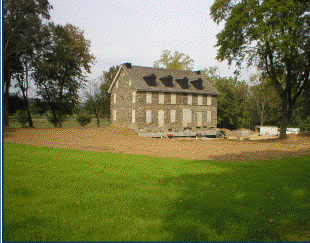 Relocation of an historic tavern located at rt.1 and rt.252 in Delaware county. The project included stabilizing the entire 700 ton stone structure before moving it 400 feet downhill away from the traffic intersection. 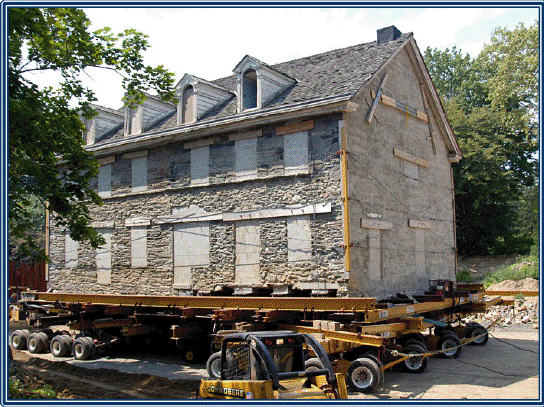 The building was raised onto 24 hydraulically controlled dollies and pulled to its new location where an entire new masonry foundation was constructed . 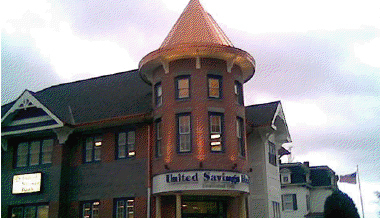 This challenging project was completed on budget without injuries or incidents. 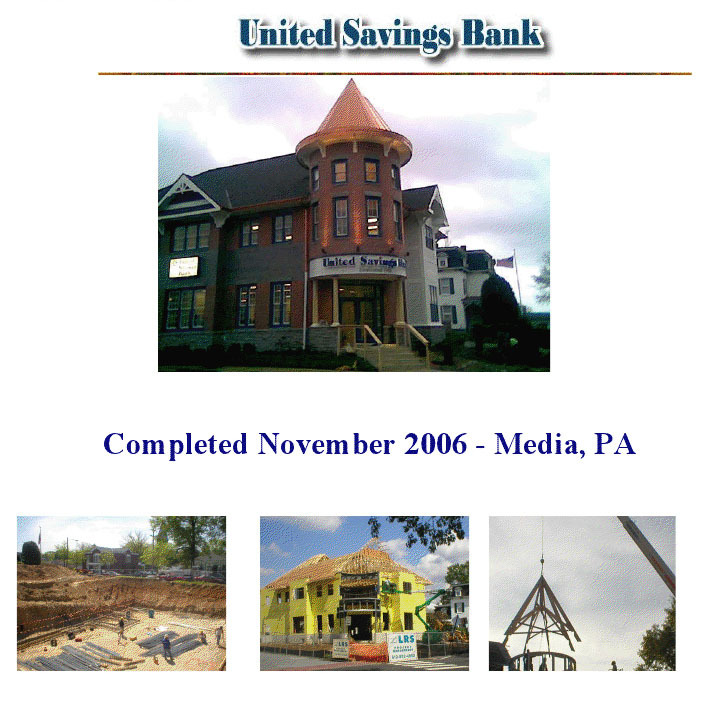 The St Charles Borromeo Church in Bensalem, Pa was completed in early spring of 2003. 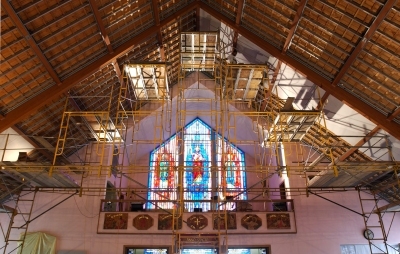 This project included the design and erection of an advanced mobile scaffold system used to facilitate the demolition and construction of a new ceiling throughout the sanctuary. Over a five week period, the existing celotex tile and lathe system was removed and replaced with steel studs and Gypsum board panels. 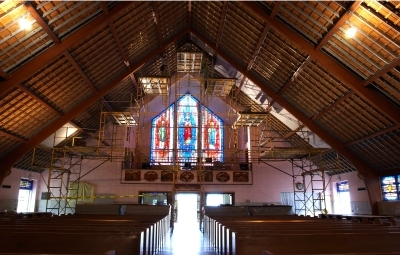 The project was completed while the sanctuary was in operation on weekends with the mobile scaffold system stored at the rear of the Church. With a height of 35 ft. to the ceiling peak, a major challenge was the safe handling of demolition and construction materials to complete the project. 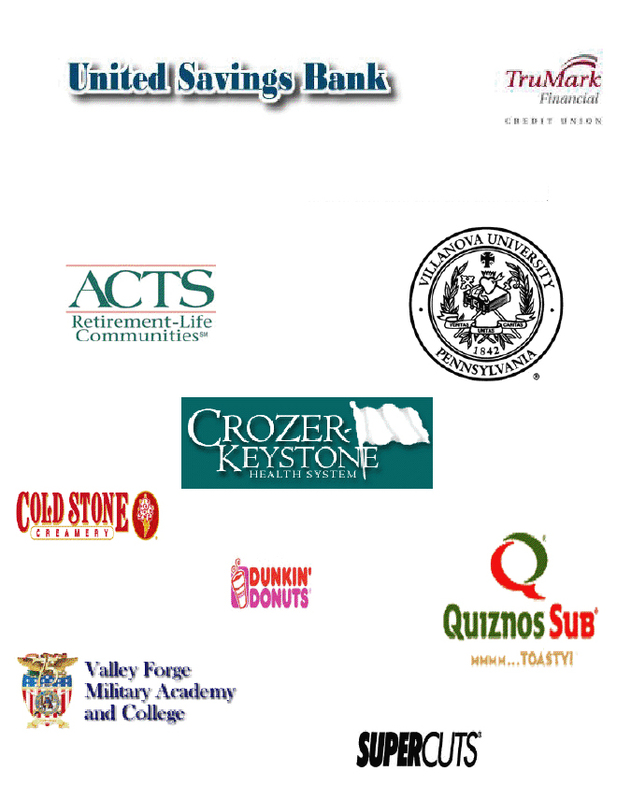 Over 20 locations in Pa. Nj. And Del. 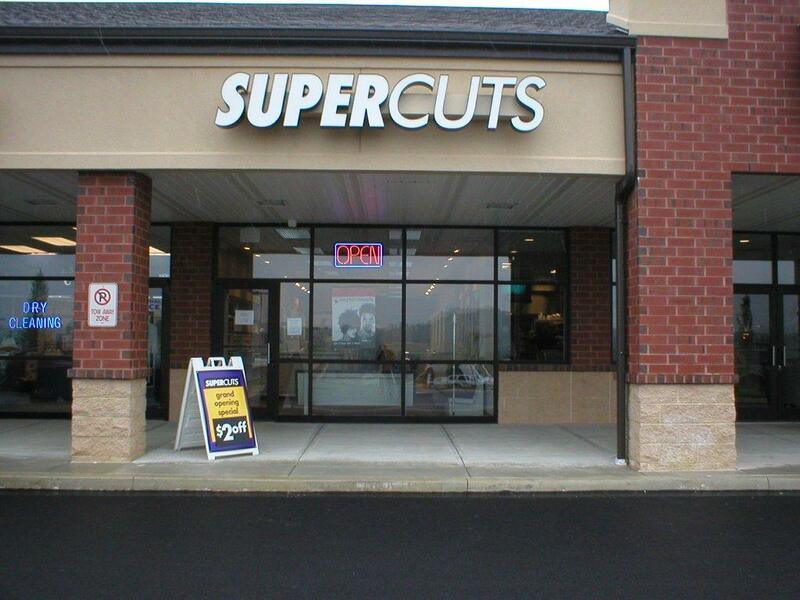 Retail fit-out for hair cutting salons. Typical project includes 1600sf, multiple cutting stations, hair washing stations, etc. Landlord provided “vanilla box” with bare walls and floors and acoustical ceiling finished out for retail end use. 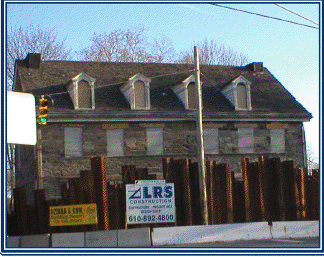 “Turn key” Services included all required permitting and approvals to store completion. Average 6 week duration. 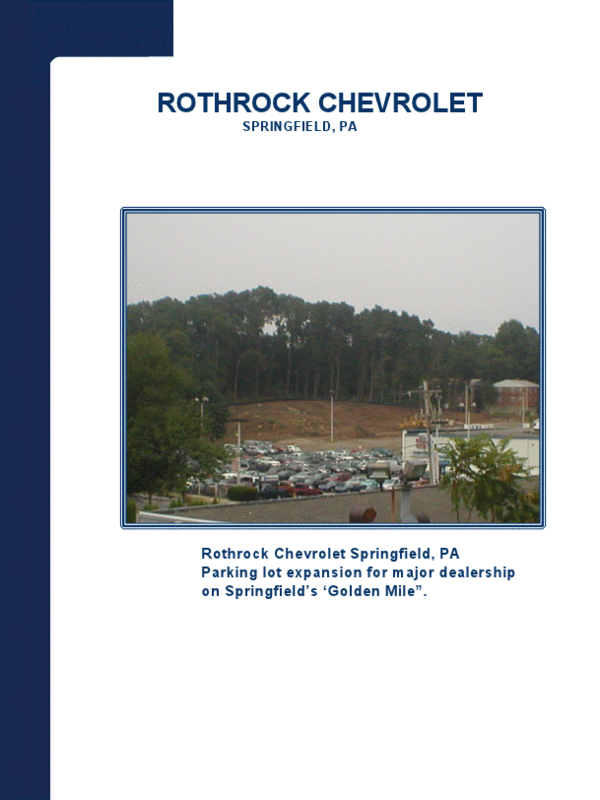 Parking lot expansion for major dealership on Springfield’s ‘Golden Mile”. 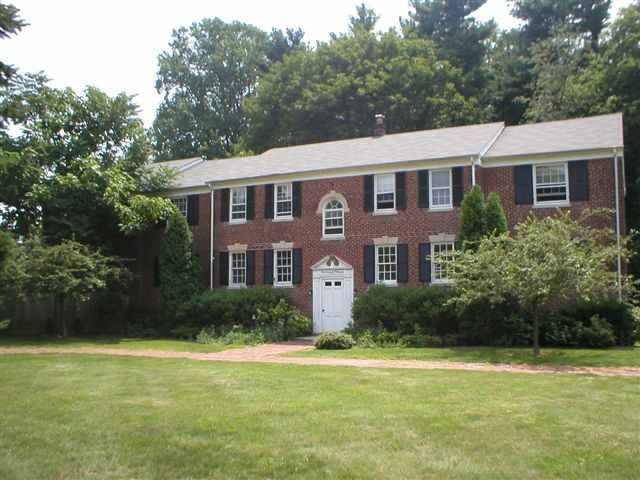 The St. Kevin’s Parish Life Center in Springfield, Delaware County, Pa. was completed in early fall of 2002. 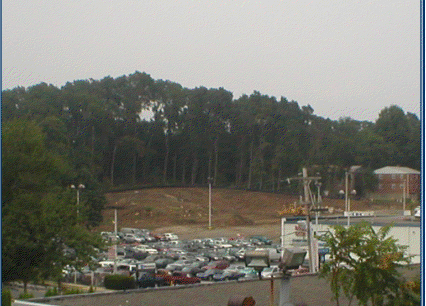 The project covered over 13,000 sf. and included a gymnasium, parish offices, conference rooms, public lavatories, storage areas, kitchen, and common areas. Challenges included joining the facility to the existing school, close proximity to other structures, and working during school hours and around multiple public functions. Through value engineering, we realized over 8% in net savings to the owner. 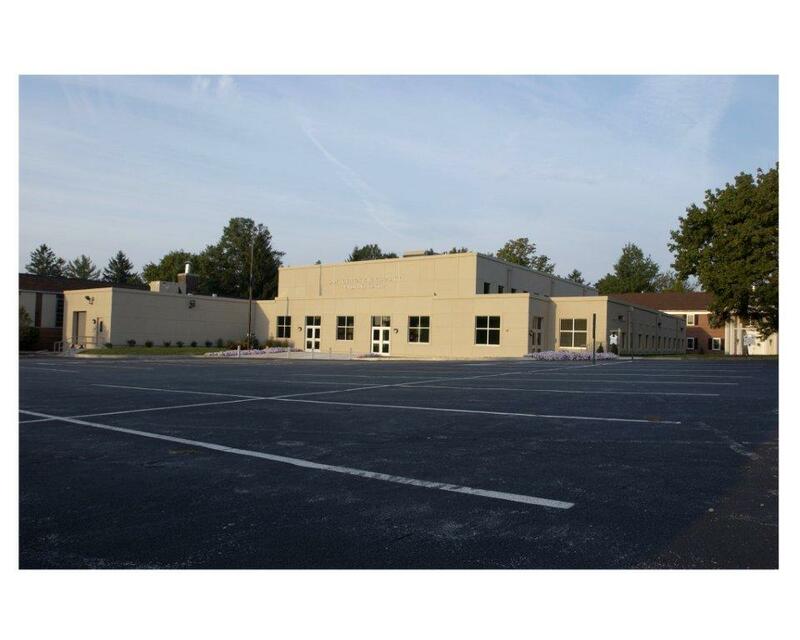 This complete, out of the ground project featured a masonry and steel truss structure with Dryvit EFIS skin and EPDM roofing. 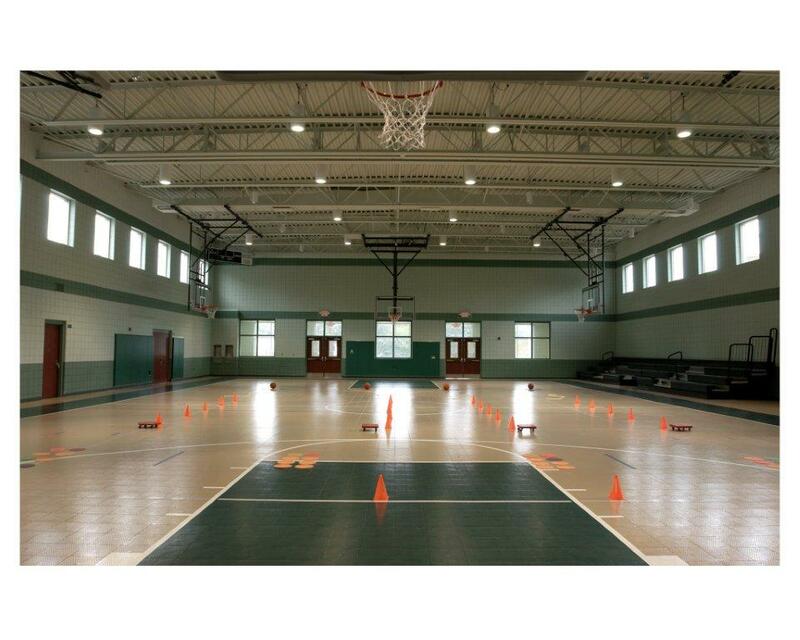 In use, the gymnasium functions as a multi purpose facility hosting tournament basketball games and many fundraising events. Owner references and contact information for this project can be found on this website. Design-Build of the first new Mack and Manco Pizza Store to be built in 40 years. The design criteria includes custom “Boardwalk” flooring, custom laminates, complete commercial pizza kitchen facility, walk-in refrigerators/freezers. The design incorporated historical elements of the New Jersey Boardwalk pizza stores to define and strengthen the Mack and Manco Brand. 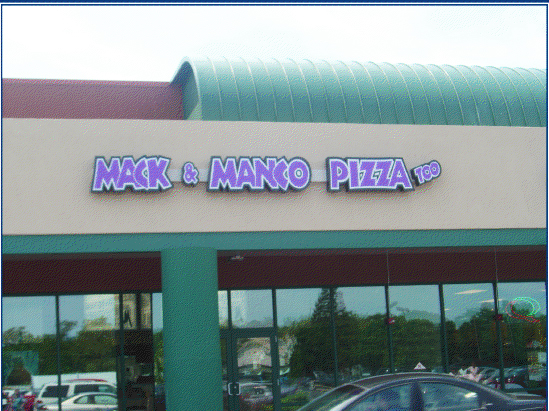 This store is to be the prototype for the Mack and Manco tri-state franchise program.